Home Agency How How-To News SSS Top Global Searches Trending 2017 Update: May text-based information service ang SSS! 2017 Update: May text-based information service ang SSS! Mas madali nang malaman ang status ng SSS mo. 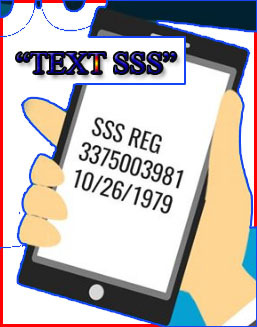 Philippine Social Security System official fan page (https://web.facebook.com/SSSPh/) had recently shared about the new "Text SSS", which is is a text-based information service that allows a member to inquire about the number of his/her contributions, loan application status, loan balance, status of benefit claim, document requirements in filing benefit claim and membership registration, change in member record, SSS branch location and feedback on SSS concern through short messaging service (SMS)s.
How can a member register? How can one inquire about his/her contributions, loan status and loan balance?